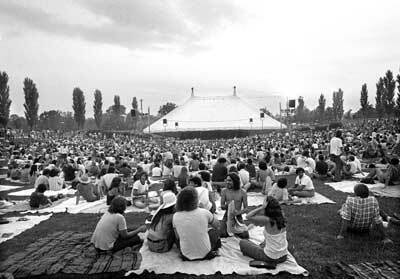 Nearly all the 1969 festivals I’ve written about were two- or three-day events with several performers each day. 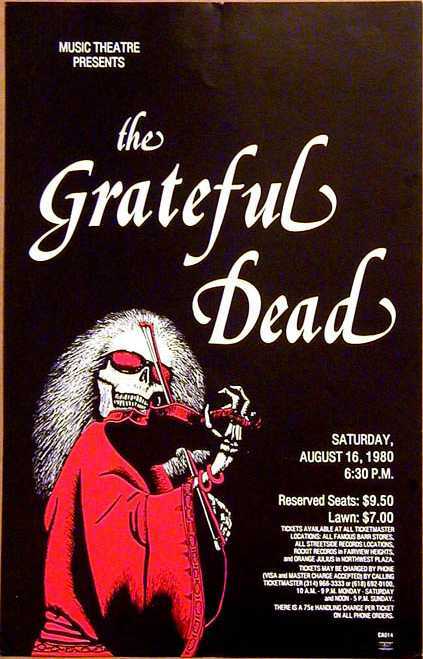 I did have a piece on the 1969 Forest Hills Music Festival in Queens, NYC, even though it was a summer-long event because so many festival-type rock groups were part of it. In 1969, Southern Illinois University initiated the Mississippi River Festival. Though primarily designed as a summer residence for the St Louis Symphony Orchestra (with Walter Susskind the conductor), [a la Tanglewood in Massachusetts featuring the Boston Pop Orchestra] the Mississippi River Festival regularly featured other types of music over its typical two-month (30 dates) run. Not quite the kind of weekend festival featuring several performers each day that typified the most other 1969 festivals, the MRF nonetheless featured many of the same performers who were at those festivals. Organizers located the venue inside a custom-made circus tent with seating for approximately 1,900 guests. The tent had one open wall to allow for lawn spectators. Here is a 14-minute video which mostly covers the early organization of the inaugural season. It features mainly the orchestra. A Carmina Burana soundtrack backs the video! Viewers might find it interesting and amusing to watch how formalized the MRF organizers were compared to those of Woodstock Ventures. These organizers sit a table, coffee cups in front of them, men in jackets and ties, women dressed for “church. Because it was a two-month season, attendees could purchase a season pass for every show available. Over the 11-year run of its existence, many other great bands played the Mississippi River Festival, such as, Grateful Dead, the Who, Jimmy Buffett, Yes, Janis Joplin, the Flying Burrito Brothers (in 1970 with Gram Parsons), Joni Mitchell. Below is a chart with the various rock- or folk-related groups that played in 1969. It is a great selection. Of special note is July 14. The Band played. It is “common knowledge” that Bob Dylan did not perform at the Woodstock Music and Art Fair. And that is true. It is also common knowledge that Bob Dylan’s first public performance following his July 29, 1966 motorcycle accident was at the Isle of Wright event the end of August 1969. Common knowledge? Yes. Accurate? No. Who came out to play with The Band on their 4-song encore? You guessed it: Bob Dylan. I think that qualifies as a public appearance, don’t you?